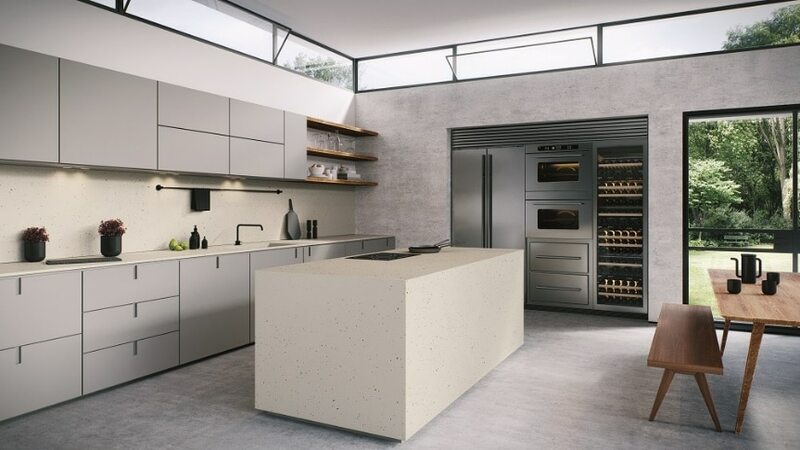 Featuring a rich industrial outlook, the Rugged Concrete stone slab by Caesarstone delivers a highly charismatic aura as it is dark, edgy, and absolutely unique. This eye-catcher will hook any perceiver with its rugged presence and is able to effuse any ambiance with a gorgeous, warmly inviting look. It’s also excellent for introducing dark contrast in your interior designs with its charcoal hue and a patina of light veins that only enhance its natural appeal. Definitely a surface that’ll make your homes feel darkly inviting. 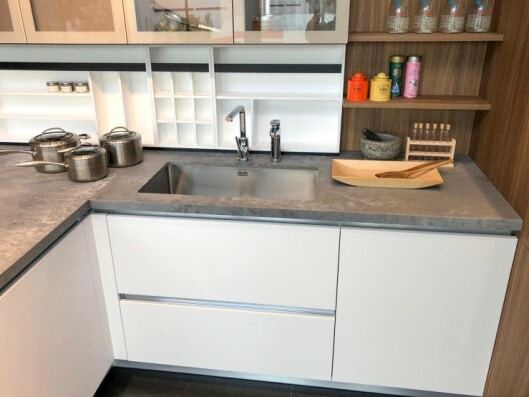 Just to see how the Rugged Concrete surface would look when authentically installed on a kitchen countertop, here are a few images taken at W Atelier @ Henderson Road. 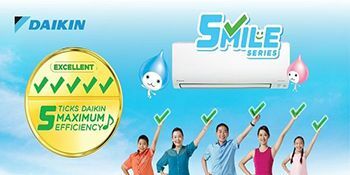 The overall results are spectacular, ensuring that the hype is totally worth the awesome results. 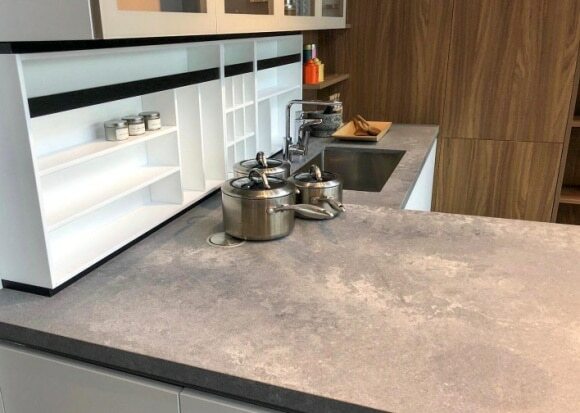 The surface of this particular stone slab from Caesarstone’s Metropolitan collection features the lightest grey surface that is embellished with a milky white patina. 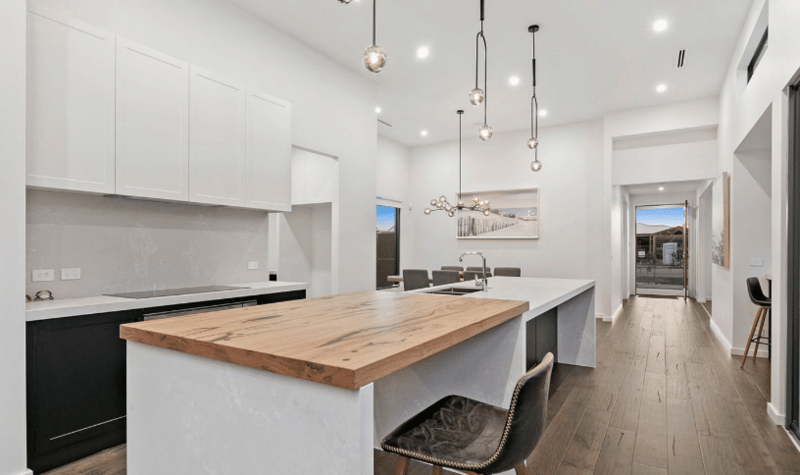 Despite its light breeziness, it has a very charming presence that’s especially suited for modern, minimal, and contemporary interior designs that could do with some textural contrast. 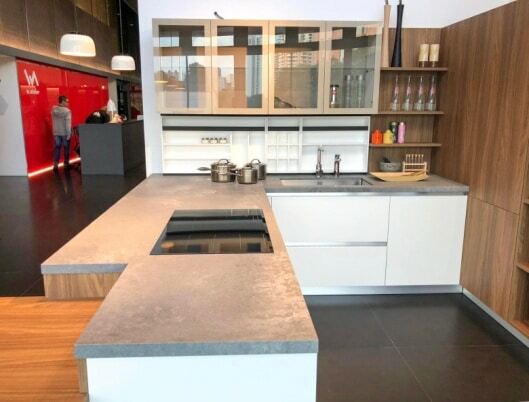 You can also pair it up with other organic textures like wood to enhance its stone-inspired appeal. 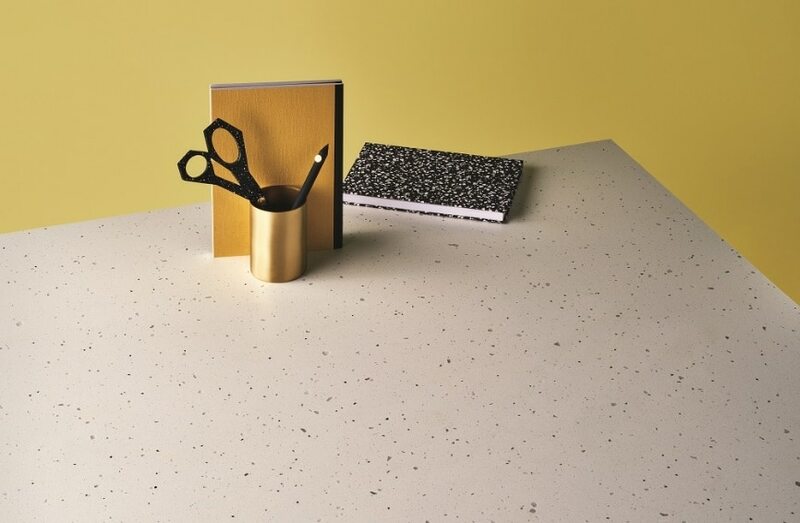 Featuring a white surface that is dotted with an asymmetric combination of black specks, the Frozen Terra surface is perfect for new-age and contemporary eclectic kitchen designs. It’s not only unique, but will look stunning when paired with jewel toned laminates and accessories. The brightness of red-blue-blacks will contrast beautifully with its artfully pinpricked surface and deliver an extremely trendy outlook to your spaces. 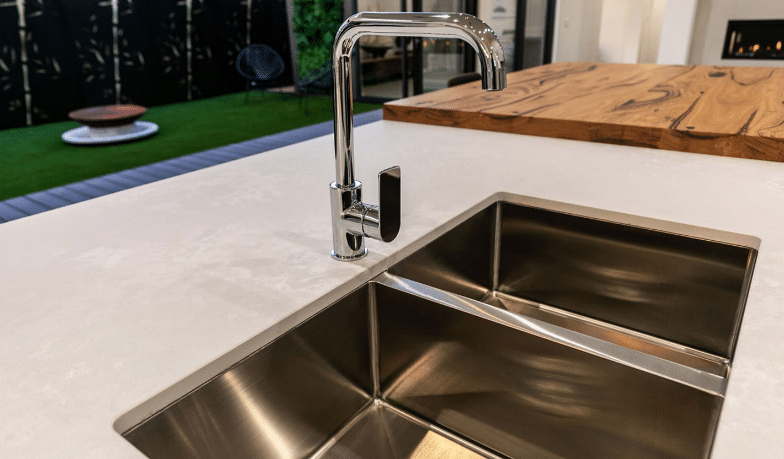 Feel free to check out their full collection and designs at their Caesarstone Experience Centre in Suntec City Mall Tower 3 if you are thinking of installing one in your home. Experience the feel, styles and textures all in person!